Absolutely love this little mod, fits snugly in your hand and only took 2 weeks to get here. Good texture with high quality sculpture. The monitor is small but bright and easy to see. It was bigger than I thought but I was satisfied. perfect and very nice mod - five stars! Thank you. Everything came in a week. In good condition. I will take everything i like. the only thing that i can not choose different colors when their pieces are five take but this is my problem. I haven't figured it out yet. The guys respect simply. 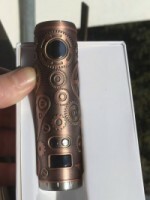 86W Tesla Punk Mod, which is powered by 18650 battery to fire up to 86W, has adopts high quality zinc alloy, ABS and PC as material for long service time. 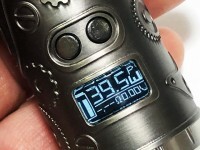 It has different output modes to create different cloud and flavor. 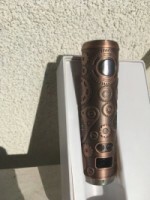 You will enjoy the cool punk style vape. 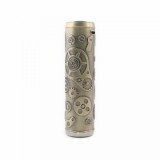 BuyBest also sell 85W Tesla Punk Mod/85W Tesla Punk Kit with H8 Mini Tank/220W Tesla Punk TC Kit with H8 Tank/ 85W Tesla Punk TC Kit with Resin Tank/220W Tesla Punk TC Box Mod. 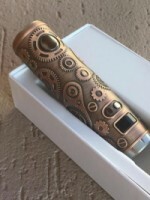 • You can buy the 85W Tesla Punk Mod/85W Tesla Punk Kit with H8 Mini Tank/220W Tesla Punk TC Kit with H8 Tank/ 85W Tesla Punk TC Kit with Resin Tank/220W Tesla Punk TC Box Mod at BuyBest.